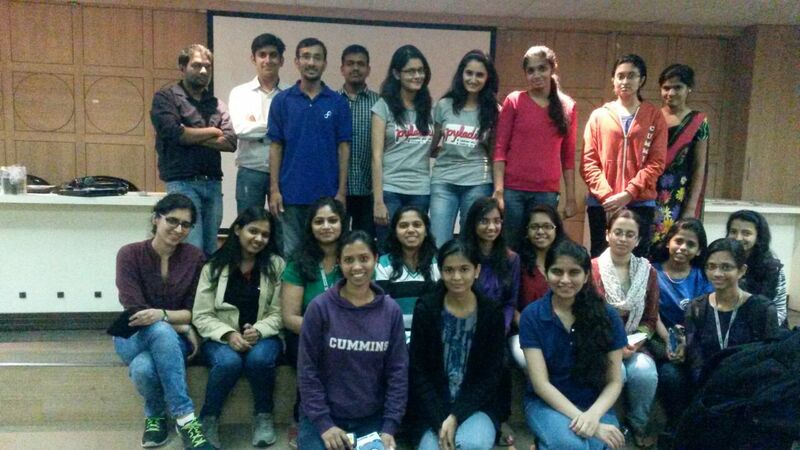 After long days of planning, we were finally able to organize the first chapter of PyLadies, Pune on January 24, 2015 at Cummins College of Engineering, Pune. PyLadies is an international mentorship group which support women who are interested in programming using Python. Keeping the current scenario in mind about women participation in the open source community, we thought it was required to encourage more women participation. The number of girls who turned up at the event was a little disappointing as compared to the number of registrations but the chapter was destined to start that day and it did 😉 . I started the day by giving a very small presentation where I covered introduction to PyLadies and how we can increase the women participation in the open source community. I talked about a couple of existing outreach programs like Ada Initiative, GNOME outreach program for Women, Linux Chix and also awards like ‘Women in Open Source Award‘. Also discussed about some of the common reasons why we see less women in the community and how together we can help improve the ratio. 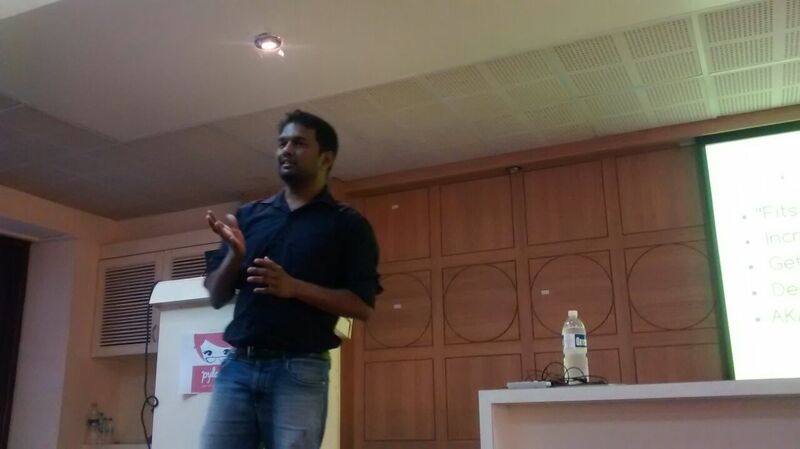 Later, Ramakrishna Reddy spoke on ‘Why we love Python’. The talk was beautifully structured and interesting enough for the college students. He spoke from his past experiences as when he started using Linux, installations involved a bunch of 30-40 floppy disks. He mentioned that it depends how a person wants to learn to program and how important are the programming concepts like data structures for students to begin their career in the programming. That one hour of the day was interesting. After a short break of 15 minutes, there was a hands-on session on ‘Fun with Python’ by Chandan Kumar and Praveen Kumar. The topics to be covered were variables, data types,operators, looping, data structures, functions, modules and file handling. Chandan covered some of the initial topics with hands-on exercises for the participants and later Praveen explained some of the latter advanced topics. Anshul Behl grabbed the last slot of the day and explained how to use python-requests module to gather data from web and then using it for some purpose. He used the rottentomatoes API as an example for the same. The day was concluded by Ramakrishna Reddy where he provided a clear and deeper understanding to data structures in five minutes. Praveen Kumar talked about how one can contribute to fedora and we announced the coming up event FUDCon Pune 2015. Also, we distributed some fedora stickers and DVDs to the students there. 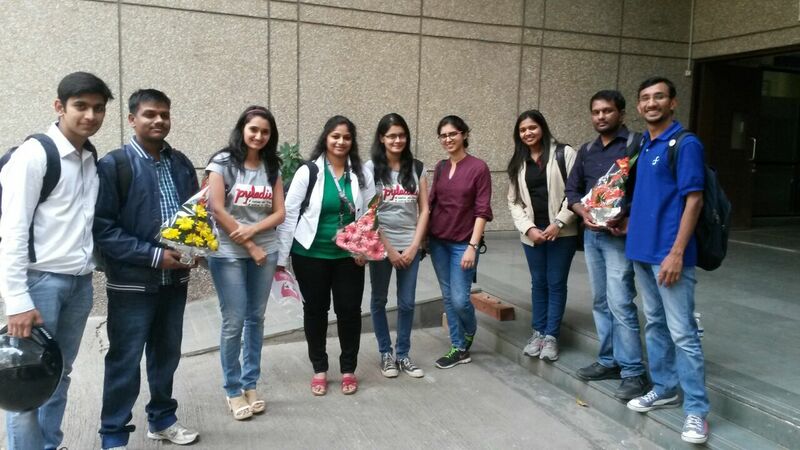 The first chapter of PyLadies, Pune was co-organised by Red Hat and was a successful event all together. We are looking forward to a greater participation by ladies in future. You folks are doing an amazing job at spreading the love of Python. Kudos! If you’ve any wannabe programmers at your meetup then you can recommend https://hackr.co to find the best online programming courses and tutorials.